Nightmares are common with autism. Parents can help. Nightmares in childhood can be distressing for any child; for children with autism, though, sensory dysfunction and communication difficulties can make the problem much worse. Children with autism have frequent sleep problems and have a much harder time calming themselves and regulating their emotional state. While you can’t end nightmares, you can certainly help your child with autism. Nightmares are related to the anxiety so common in autism, so treating the anxiety can help make nightmares more manageable. Nightmares are common among everyone and can occur at any age, though certain risk factors increase the possibility of their occurrence. While nightmares are not a symptom of autism, they are certainly increased by anxiety which often does go hand in hand with autism. 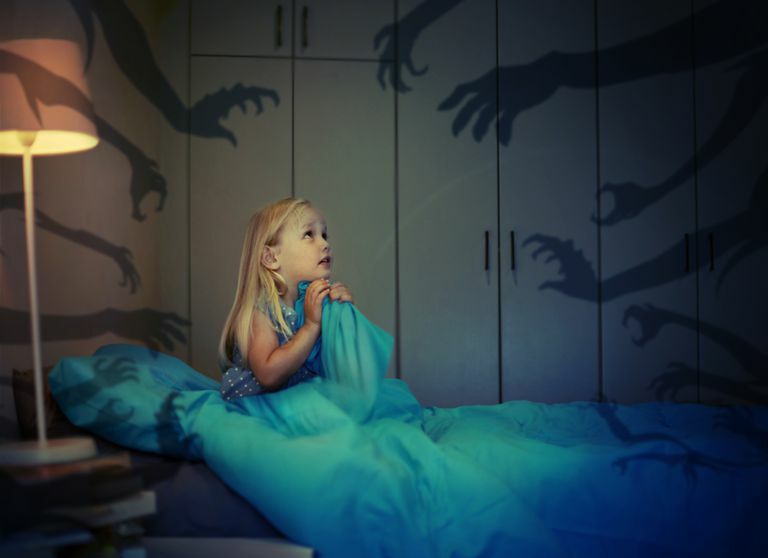 You may want to find out whether your child is experiencing nightmares or night terrors. The difference is that with nightmares she will remember the bad dream that scares her whereas with night terrors she will wake up sweating and extremely frightened but without recollection of a dream provoking this. Talking about the nightmares may help to shed some light on specific anxiety or stress that your daughter is experiencing. Some medications are actually known to increase nightmares. In either case, nightmares or night terrors are not illnesses in themselves. They don’t have long-term effects. It is the anxiety and stress that must be attended to. Usually, no specific treatment is needed for nightmares. A child with autism, however, needs extra help in understanding and dealing with all of the anxiety and stressful things going on within and around her. According to Dr. Robert Naseef, a psychologist who specializes in the psychological treatment of autism, "Anxiety is virtually part and parcel of having autism. If you have a neurological disorder which affects speech and language, relating and communicating, and which includes repetitive behaviors and sensory dysfunction, then there is plenty to be confused and befuddled by in the neurotypical world." If anxiety is a serious issue for your child and is related to his nightmares, you can take action. The right medication will certainly help, and it will be much more effective when coupled with the help of a psychologist or psychotherapist who is experienced in treating the anxiety of children diagnosed with autism. The best form of therapy for anxiety is cognitive behavioral therapy (CBT). Start the search for someone qualified and experienced to do the job by asking your pediatrician or checking in with a local support group for parents of children on the spectrum. You can also ask your local chapter of the Autism Society of America. Kose, S., Yilmaz, H., Ocakoglu, F., and N. Ozbaran. Sleep Problems in Children with Autism Spectrum Disorder and Intellectual Disability without Autism Spectrum Disorder. Sleep Medicine. 2017. 40:69-77. Wood, J., Ehrenreich-May, J., Alessandri, M. et al. Cognitive Behavioral Therapy for Early Adolescents with Autism Spectrum Disorders and Clinical Anxiety: A Randomized, Controlled Trial. Behavior Therapy. 2015. 46(1):7-19.